Reefpearls are (zoo)plankton mimicking feeding pellets for corals and other filterfeeders. They have a neutral buoyancy, high nutritional value and low levels of inorganic phosphates. Reefpearls contain microencapsulated particles which are stable for 4-24 hours in the watercolom and have a low leakage of nutrients, thus floating around for a long time and allowing a long feeding time for your animals. Reefpearls consists of a mixture of different pellet sizes, ranging from 5-200 µm (microns), that is mimicking the natural sizes of plankton. They can simply be dosed by using a automated fish feeder. Reefpearls contain the essential levels of phosphates, however, in contrast to most other feeds, these phosphates are in an organic form (attached to proteins and DNA) instead of inorganic phosphates (PO4) . This will result in lower pollution of your tank and better uptake of this essential element by your corals and other filterfeeders. Available in 5-200µm and 500-1000µm pellet size. Feeding depends on which kind and how much corals and/or filterfeeders you need to feed. 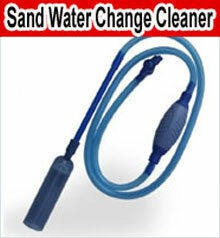 It also depend on the watervolume of your aquarium. As guideline we suggest 2 feedings a day for photosynthetic corals and 6-12 feedings a day for non photosynthetic corals. Start with 1/5 - 1/4 of a teaspoon of food per feeding time for each 350-500 liters of water. After your corals are used to the feeding regime, you can slowly add more food per feeding time. Keep feeding your fish and other animals like normaly with a premium flake and/or pellet fishfood like Omega One Fish Food and/or frozen fishfoods like brine shrimp, mysis, krill, etc. Ingredients: Fishmeal, Fish Oil, Lecithin, Vitamins & Minerals, Anti-oxidants. Reefpearls are produced in the European Union. 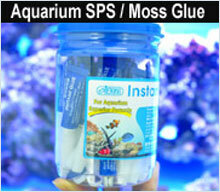 Reefpearls are packed in PET / ALU / LDPE standup pouches with a recloseble ziplock on the top. The standup pouches are thermo sealed at the top. 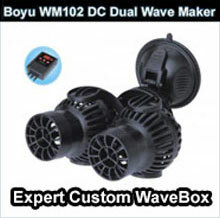 This type of packaging features a strong barrier against water vapor and oxygen and keep the product at his best for a long time, even when it is opened and reclosed. The expiration date is printed on the front of the label.